Leadership – What Is It? Leadership is better thought of as a verb, not a noun. Leadership is something done. You can’t earn it; you can’t learn it. It seems every U.S. corporate giant has a different definition of what it is. Let’s contrast Biblical leadership with you-know-who’s style of leadership. Moses never once attended a Dale Carnegie course on leadership. Steven Covey’s books weren’t sold in the Sinai bookstore. It is on good authority that I know John Maxwell never spoke at a shepherd’s conference where Moses was suddenly inspired to form a corporation of Jews, numbering over 1,200,000 shareholders. I find a significant clue to the character of a genuine leader in the New Testament. You may already know the story out of Matthew 8:5-11 (NKJV) where Jesus heals the Roman Centurion’s servant. Look closely at the words of the Centurion. For I also am a man under authority, having soldiers under me. And I say to this one,‘Go,’ and he goes; and to another, ‘Come,’ and he comes; and to my servant, ‘Do this,’ and he does it. An important point: The Centurion recognized Jesus was a man under authority. Being ALSO a man under authority, the Centurion obeyed Jesus and they all lived happily ever after. This is the hallmark of a credible leader: he or she is someone acting under a higher authority. Which Kind Of Leader Should You Follow? 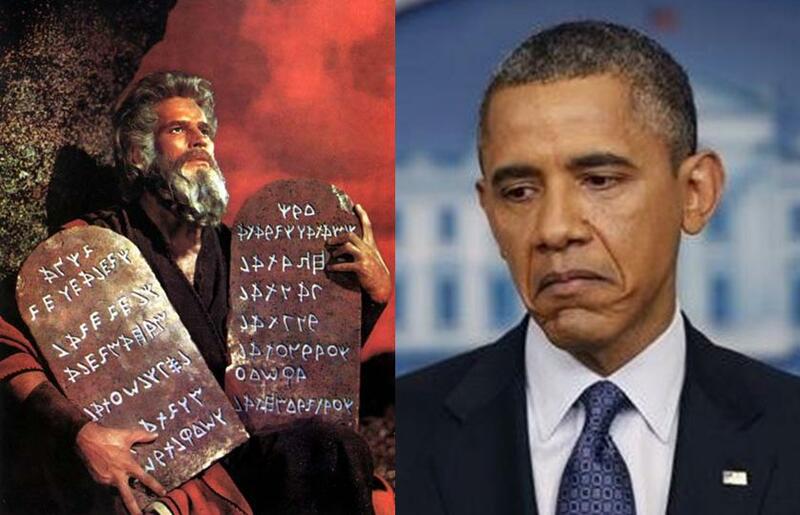 Herein is the difference between Moses, a reliable leader, and Barack Obama, an unreliable leader. God created man and established rules of order by means of the Bible. Man created the states and established rules of order by means of state constitutions. The states created the federal government and established rules of order by means of the U.S. Constitution. Based on Biblical and historical knowledge, our Founding Fathers knew that the primary duty of government is to protect and defend our freedoms. Therefore they added ten amendments we call the Bill of Rights. Last of these amendments is the Tenth. This sitting president, Barack Hussein Obama, is not compelled to act under authority of the United States Constitution. Up to this point in time, he has behaved more as benevolent dictator than as a constitutional president. In a recent Cabinet Room meeting he referred to the Department of Defense as “my military“. His remarks ignited a maelstrom of indignation across the political spectrum. Democrat lawmakers are finally coming to their senses, at least some of them. Dennis Kucinich, considered to be a far-left former member of the House (Ohio D-10), said this week on Fox News the president risks impeachment, if he attacks Syria without congressional approval, because there is no imminent threat to America. Pray that God will raise up leaders who act under authority of the U.S. Constitution. Repent of your sins and study the Bible. Communicate with your congressional delegation. Tell them to operate under the umbrella of authority outlined in the U.S. Constitution. Learn about issues and candidates. Read our founding documents, including the Declaration of Independence, the U.S. Constitution and the Federalist Papers. Talk with your circle of friends about issues and candidates. God has not had the last word on America! This guy is no leader…only a Con-Artist!…YOU CAN BE THAT THIS COUNTRY WILL NOT SURVIVE IF THEY ARE SO STUPID TO FOLLOW UP W/MRS. CLINTON!